We are delighted to present to you the super talented author, Marcie Colleen! 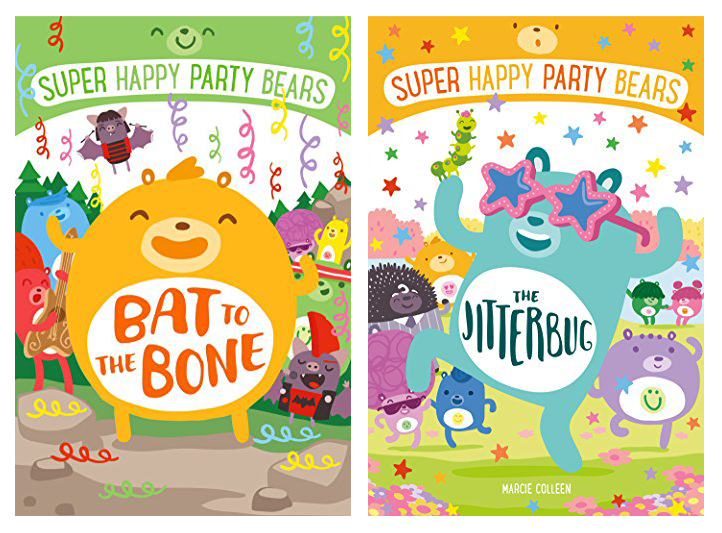 Marcie is the author of the kid-favorite series SUPER HAPPY PARTY BEARS (Macmillan) and she's got some new books on the horizon including LOVE, TRIANGLE illustrated by Bob Shea. 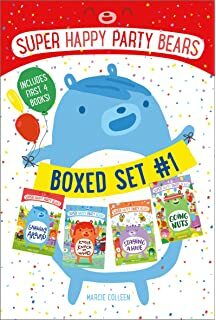 Be sure to enter the Rafflecopter below for a chance to win a copy of SUPER HAPPY PARTY BEARS BOOKS #5 AND #6! Fast forward through careers in teaching and theater, the focus was always on children’s literature and entertainment. So, even though I did not become interested in writing children’s books until late 2010, I feel as if I have been on this path my whole life. What projects are you working on now? Any sequel to LOVE, TRIANGLE or any of your many other books? I wrapped up Super Happy Party Bears #8 in May and have been spending this summer focusing on picture book projects, as well as stretching myself with a super-secret collaborative effort with a close friend of mine in a totally different format than I have worked in before! 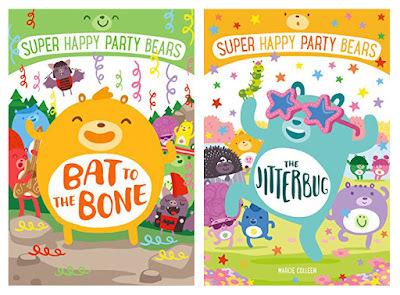 On August 15th, the party continues with two more Super Happy Party Bears books—#5: BAT TO THE BONE and #6 THE JITTERBUG. September will see #7: TINY PRANCER hit the shelves, as well as a boxed set that includes the first four books in the series! Then, on October 3rd, LOVE, TRIANGLE is out! 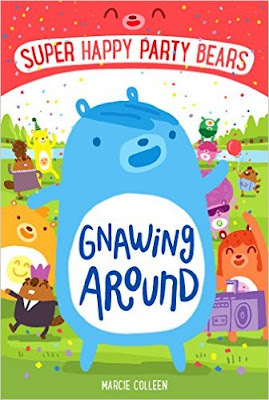 I am super excited about this, as it is my debut and illustrated by Bob Shea! I do a lot of work on the front end of an idea before I even start writing. Daydreaming, brainstorming, stream-of-conscious writing, reading, dreaming some more, outlining, etc. This process can take weeks or months or sometimes years. But putting this kind of care and thought into an idea before I even start writing really helps me to draft and revise a little quicker when I do start to write. During this process, I have two folders for each of my story ideas/manuscripts—one on the computer and one physical folder. The physical folder is usually packed with scribblings, doodles, and notes. The computer folder is where I store outlines and pieces of drafts. Once I have a strong draft, I share it with my critique partners. Sometimes I go through two or three rounds with them before sending it on to my agent. My agent is also editorial, so we then worked to revise even further together before finally subbing out. Oh…and then I revise with the editor. Sensing a pattern here? 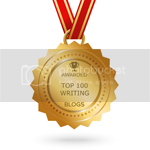 What advice would you give to aspiring writers? Where do you get your inspiration? “If you can dream it, you can be it.” Read a lot. Write a lot. Take classes. Attend book events and conferences when you can. And never give up on your dream. It will be hard work. It might take a while. But any dream of yours is truly worth it. As for where I get my inspiration, really it comes from the process of creation itself. The more I create, the more ideas I generate. Sure, some of those ideas are crap. But I find that I must create crap to fine-tune my skills and create some stuff that is better than crap. 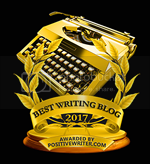 I find that using a word like “inspiration” to describe the process of writing is deceiving because inspiration is something we have been told we need to wait for. Truth is, there is no waiting in creating. Just action. Waiting is an excuse. Several years ago, I learned the answer to the question “if my friends jumped off a bridge, would I follow?” The answer, apparently, is yes. A bunch of my girlfriends decided to go skydiving, and although it was nothing I ever thought of doing, I did it. Maybe for the sole reason that “everyone else was doing it.” Chalk it up to peer pressure, but it was a great experience! Marcie Colleen has been a teacher, an actress, and a nanny, but now she spends her days writing children’s books. 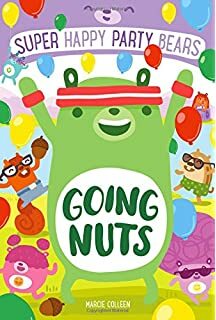 She is the author of the Super Happy Party Bears chapter book series (Macmillan/Imprint). Her debut picture book, Love Triangle, illustrated by Bob Shea (Blazer+Bray/HarperCollins, October 3, 2017) sold in a five-house auction. It is about best friends Circle and Square, and Triangle who comes between them. Other upcoming picture books include The Adventure of the Penguinaut (Scholastic, Fall 2018) which will be illustrated by Emma Yarlett. 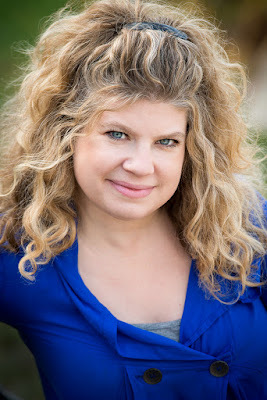 Marcie is a frequent presenter at conferences for SCBWI, as well as a faculty member for Kidlit Writing School offering courses with a focus on plotting and revising picture books. She lives in San Diego, California with her husband and their mischievous sock monkey. Visit her at www.thisismarciecolleen.com or on Twitter @MarcieColleen1. We love the Super Happy Party Bears at our house. They are full of humour, and gentle at the same time - perfect for my children! There would be a seriously super happy party at my house if we won #5 & #6! Marcie is the best. She is a super happy party bear herself. Would love to win some more bears! Whoot. Love Marcie and her books. 'Super Happy Party Bear' is just so fun to say! Brilliant! I feel like I've been waiting to read Love, Triangle forever! The Party Bears look like so much fun! Congrats! "...through careers in teaching and theater, the focus was always on children’s literature and entertainment." Truth! I am so excited for SHPB #5 & #6! I am moving on to a new school this year, but ran into some of my students over the summer. After their parents professed their child's love of SHPB and how they read right through them, they asked, "When do the next SHPB books come out again?" I mentioned August and they said, "Oh yeah, I think we preordered them." Kids love this series and I'll be excited to introduce it at my new school, too! So happy for your continued success, Marcie! Oh yay! And let's be in touch. I'll be in Louisville again in early January and would love to maybe set some school visits up. These books have such great, fresh design and colors! Very fun! 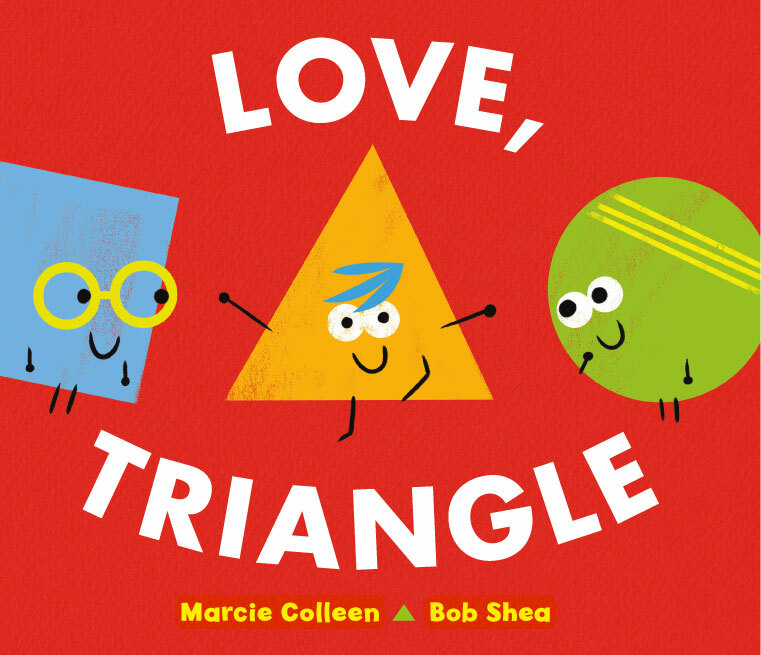 Congratulations on getting Bob Shea to illustrate your new book! Congratulations on your books! Love all the bright cheerful colors! Congratulations on your success so far, Marcie! As someone who stepped into the kidlit industry at about the same time as you, Josh Funk, Paul Czajak, and several others I know, it's been interesting to see the multiple paths so many folks' careers have taken! These books sound super fun! Even the punny titles are great 😊 Awesome interview too! I love these fun little bears! I can't wait to meet your fun little shapes. My daughter adores Super Happy Party Bears and as an aspiring writer, I adore all Marcie Colleen does for the kidlit community! Congrats on your upcoming book birthdays! Thank you for the interview and sharing advice with us. I'm reading as many picture books published this past year or two and can't wait to study yours. I have ideas that I'd love to be able to turn in picture books, but I have so much to learn first. Great interview! My 9yr-old reads aloud Super Happy Party Bear books to me. It's our special time together. Congrats on all your success Marcie. I love your comments about inspiration and action! Insightful! Congratulations, Marcie! I can't wait to read this series!